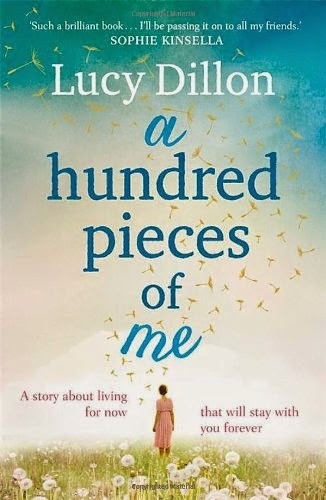 Having previously read Lost Dogs and Lonely Hearts (reviewed here), I knew I enjoyed Lucy Dillon’s style of writing and as a dog-lover, the fact that dogs feature so heavily in her novels is a real bonus. 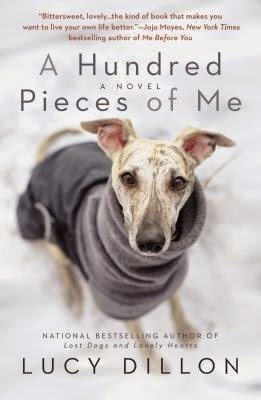 When I read the synopsis for A Hundred Pieces of Me, it sounded a bit different to her previous novels. It has a very beautiful cover and I’d heard some really good things about it, so it was an easy book choice for a recent holiday. ‘Letters from the only man she's ever truly loved. A keepsake of the father she never really knew. A blue glass vase that catches the light on a grey day. Gina Bellamy is starting again, after a few years she'd rather forget. But the belongings she's treasured for so long don't seem to fit who she is now. We join Gina as she is settling into her new home after recently breaking up with her husband and a few years since she was treated for breast cancer. With the new home being a lot smaller than her old one, she perhaps has no choice but to get rid of a lot of the things she’d been holding on to, but emotionally as well. This is someone needing to start fresh and embrace the present; it’s not easy getting rid of some memories though is it? I found this to be an incredibly moving novel. The narrative worked really well in terms of taking us back to key memories and times in Gina’s life and introducing us to key characters that have played an important part in her life, and of course not in a chronological order, which worked for me. The scenes with Kit, Gina’s first love, were particularly moving and kept me guessing as to how what seemed to be a perfect relationship had turned sour. I enjoyed Gina’s passion for her job in project managing house renovations and Nick was a lovely character to get to know. Canine fans will also not be disappointed, as there is a lovely dog called Buzz in the novel, I loved him and I think he provided my favourite moments of the story! Lucy’s readers will also no-doubt be pleased to see Rachel, who was a key character in Lost Dogs and Lonely Hearts, reappear in this novel as a new friend for Gina; great to see how life is treating her. I thought the novel grew in strength as it progressed and well, there were plenty of tears from me towards the end of the novel. Happy or sad ones? You’ll have to read it for yourself to find out! I think the last few words in particular will stay with me for a long time. Thanks for the recommendation. This sounds like a really good book. Wow, Becky Gule, you make this sound like such an incredible read!